What is it that Father Damien did for God? What example was it that Sister Mary Vicentia considered? Father Damien well these words of Jesus: “Whatever you did for one of these least brothers of mine, you did for me” (Matthew 25:40). This is why he spent his life in the service of others. What he did for his fellow lepers, he did for God. There is, of course, much to say that he did, but above all it might be said that he sought to give comfort to those forcibly removed from their ohana, from their friends, and from their livelihood (cf. Isaiah 40:1). He sought to speak tenderly tot hose who felt abandoned and dejected (cf. Isaiah 40:2). Is this not why he freely ate with them and shared their calabashes? Is this not why he built their homes and made their coffins? Is this not why he bandaged their wounds without concern? In all of this, he sought to proclaim peace to his people by calling back to the Lord who longed to gather them into his arms and them close to his heart (cf. Psalms 85:9; Isaiah 40:11). When a certain patient was concerned for his well-being, Father Damien said to him, “Don’t get excited, son. Suppose the disease does get my body, God will give me another on resurrection day. The main thing is to save your soul, isn’t it?” He went so far as to say, “I want to sacrifice myself for my poor lepers” because “the harvest seems ripe.” The harvest is ripe even today; are we willing to sacrifice ourselves for others and for God today? 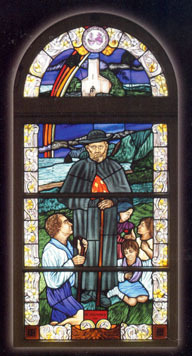 In his fellow exiles, Father Damien realized what so many others did not, namely, that the time had come for the leveling of pride and for the raising up of despondency; the time had come for the leveling of hearts to “prepare the way of the Lord,” and this he did with everything he had, just as Mother Marianne did after him (Isaiah 40:3). “If I can’t cure them,” he said, “I do have the means of consoling them. I am confident that many, purified by the sacraments, will one day be worthy of heaven.” Truly, he was one who learned to “judge wisely the things of earth” and so taught others to “hold firm to the things of heaven.” Can you and I do as much for God? 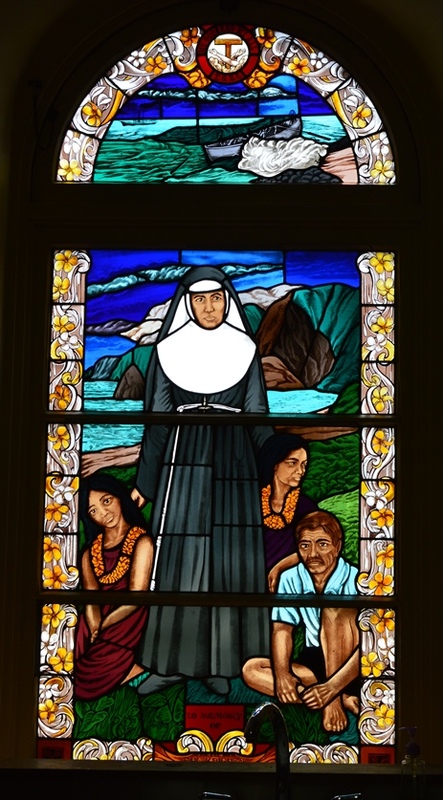 Certainly, we do not all have the same personal qualities with which the Lord Jesus endowed Father Damien; we cannot do the same as him, but that does not mean we cannot do as much, nor does it mean we should not strive to do as much. What are we doing to prepare the way of the Lord to come to us and to those who are dear to us? 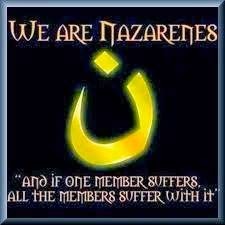 What are we doing to speak a word of comfort to those forcibly removed from their families, from their friends, or from their livelihood? What are we doing to speak tenderly to those who feel abandoned or dejected? What are doing to level the mountains of pride and to fill in the valleys of the despondent? What are we doing to prepare the way of the Lord? If we do not resist his embrace, if we do not close our ears to his voice, he will teach us to judge wisely the things of earth and to hold firm to the things of heaven. Then, strengthened by the sacraments, we can do as much for God as Father Damien did, each in our own way. Then, we at least he comes, the Lord will find us prepared to meet him. We will see his kindness and he will grant us his salvation (cf. Psalm 85:8). Amen. In Vital Jourdain, The Heart of Father Damien: 1840-1889, trans. Francis Larkin and Charles Davenport (Milwaukee: The Bruce Publishing Company, 1955), 421. Roman Missal, Prayer After Communion for the Second Sunday of Advent.